One of the things we look forward to the most during the summer is going to the beach! We’re fortunate to live in a state that borders a couple of the Great Lakes, and we have some really great beaches that are pretty near to us. We go for the entire day–pack up all of our beach stuff and a yummy lunch, and spend the next hours enjoying the water, sand, waves, relaxation, and family time. It’s the BEST! We end the day by stopping for ice cream on the way home, and we call can’t wait to be able to do it again. Whether you’re visiting a lake, ocean, reservoir, or other type of beachfront, there’s a list of things you need to bring, especially when you’r going with kids. 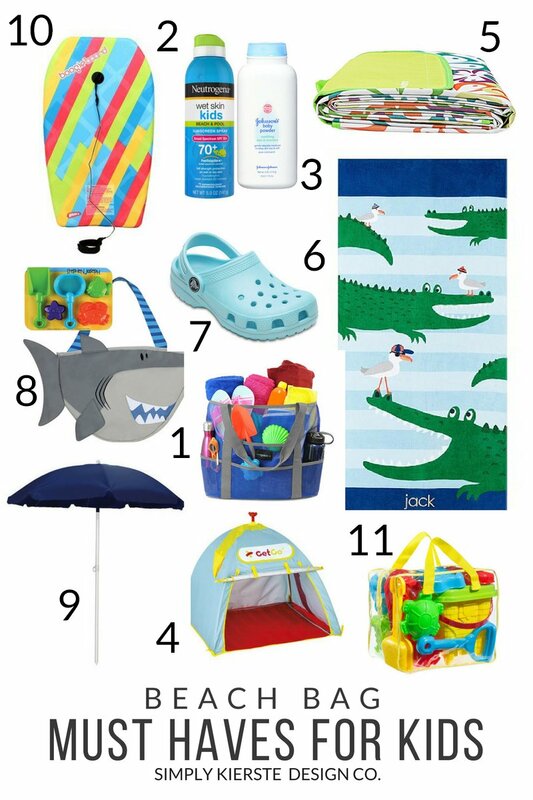 I’m sharing my list of Beach Bag Must Haves with Kids, and after several years of experience, these are my favorites! Affiliate links are included below. If you click on a link and make a purchase, I will receive a small commission that helps support this blog, at no extra cost to you. 1. Beach Bag: This is a good place to start! I love this one with all of the pockets. I usually carry more than one bag, so a bag like that one with lots of pockets is great, plus an oversized tote like this one that I can stuff a lot into. 2. Neutrogena Wet Skin Sunscreen: This is my favorite sunscreen for kids! It’s got a high SPF, which for my fair-skinned kids is especially important, plus it can be sprayed on wet skin. Perfect for the beach! 3. Baby Powder: A trip to the beach is not complete without baby powder, and it’s one my very top Beach Must Haves! It easily takes off sand from a baby’s bottom when you need to change it, or off of toes and feet and legs and arms (and everywhere else) from big kids. 4. Sun Tent: When you have kids, a sun tent is really important at the beach. Whether it’s a sleeping baby or toddler, or a child that needs a little bit of shade for awhile, it’s the perfect spot. It shields sun and wind, and this one actually has a removeable floor so you can dig in the sand while covered up! 5. Waterproof & Sandproof Beach Blanket: I don’t like spreading my towels out on the sand, because then you don’t have anything to dry off with, or if you do, they’re covered in sand! A nice, big blanket that is not only waterproof, but sandproof is the perfect answer. Plenty of room for kids and adults to eat, lay down, or whatever you need to do. 6. Beach Towels are obviously a must, and we’ve gone through a lot over the years. I’ve come to realize that I would rather spend a little bit more upfront, and have them last for several years, then buy cheap ones and have to replace them every year, and sometimes more often than that. 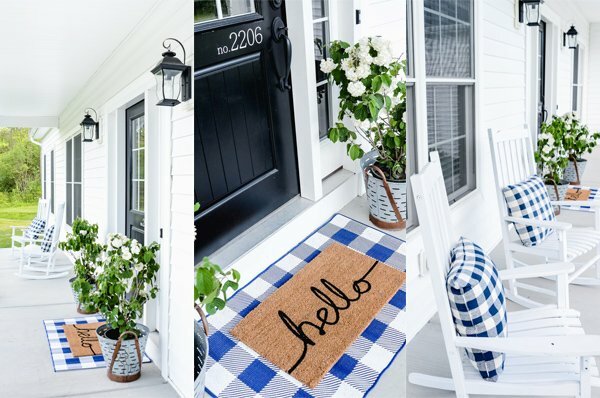 I love these by Pottery Barn Kids–there are so many designs to choose from, they give UV protection, and they’re made to last. 7. Crocs sandals: I buy these every. single. summer for my kids. I absolutely love them, and think they’re the perfect summer sandal. They are nearly indestructible, completely waterproof, can be hosed or washed off easily (think sand…), and protect toes and feet. I seriously love them. We definitely don’t go to the beach without them! 8. Sand Toys & Bag (Shark): Sand toys are a definite must, and I love this adorable shark bag that comes with it’s own set of toys. It’s perfect for a a kiddo to carry, which is also a big help when you’re taking so much stuff! I also like this sand toy set (#11), and the bag is mesh, which is really nice when you’re dealing with the sand. This one by Melissa & Doug is SO SO cute! A cookie making set for sand? Love! 9. Beach Umbrella: If you’re already taking a sun tent, you may not want a beach umbrella too, but I would definitely take one or the other. Some kind of shelter from the sun is super important with kiddos, and the beach umbrella can be turned or or tilted to get the right angle. 10. Boogie Boards: At the beaches we go to, they are mostly guarded beaches, and there are rules about what you can take in the water. Anything inflatable is out…so no tubes, arm floaties, rafts, etc. The first year we went, we had piled everything we had with us, and ended up not being able to use any of it. So…we went with boogie boards instead, and fell in love! My kids have been able to use them from a young age–to lay on, sit on, float around on, have races with–and my bigger kids give them smaller ones rides. They can be used in very shallow water, and slightly deeper water, and they’re popular with all ages except the most tiny. If there are any waves at all, they’re even more fun. Definitely a beach must have for us! I ran out of room on my collage, so these aren’t on the numbered list, but I wanted to mention them. Puddle Jumper: We’ve had such good luck with Puddle Jumpers. They’re Coast Guard approved, so I know they’re safe for my littles. I like the design, and it gives them a lot of freedom in the water at the same time as protecting them. If you already have life jackets, then you may not need these, but I like that I can use them at the pool and at the beach. Beach Cart: Clearly you can see that when you have kids, going to the beach entails A LOT of stuff. Sometimes having a way to get it out to the actual beach area is especially helpful, especially when you’re on your own, and that’s where beach cart can come in! What’s your favorite beach bag item? 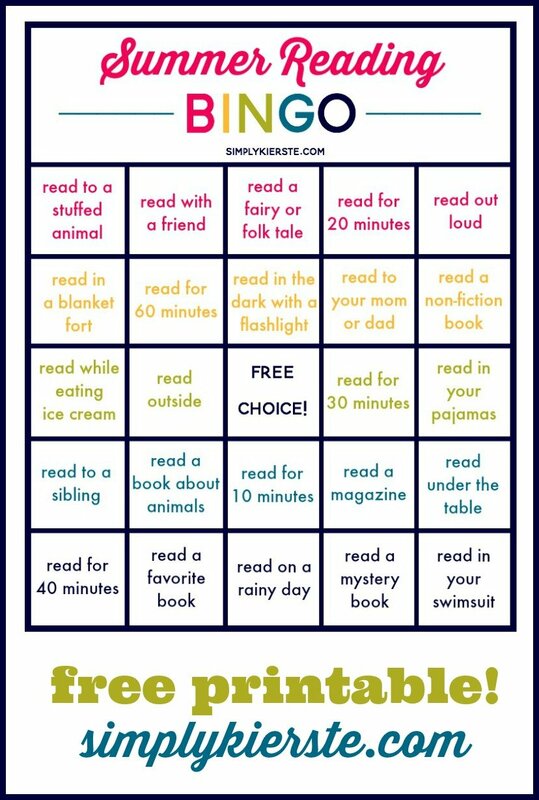 Check out my other fun summer ideas! 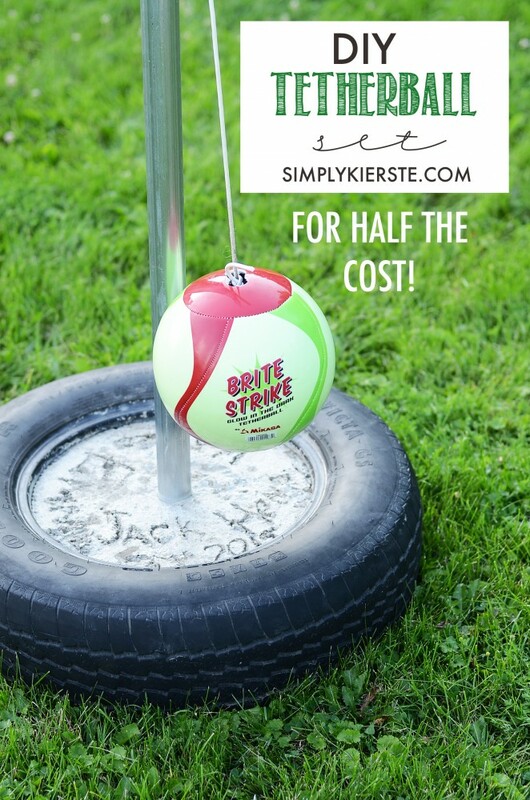 DIY: Make your own Tetherball Set for HALF the cost!